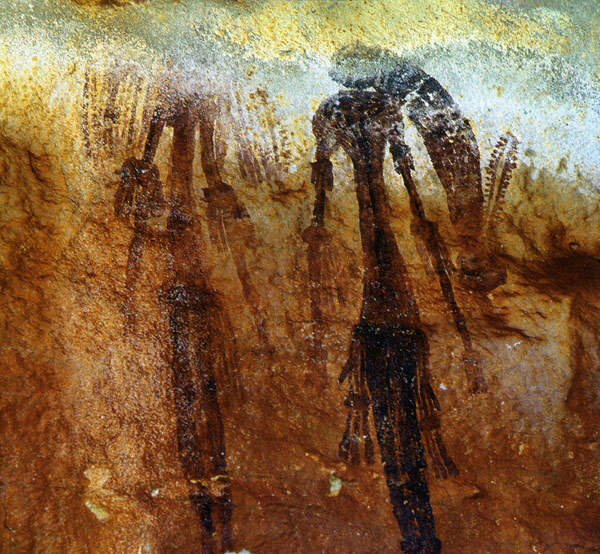 In the Bradshaw text I have repeatedly made the point that the terrain of north west Australia in which the Bradshaw and Wandjina paintings are found is some of the roughest, toughest and most inhospitable country found anywhere in the world. 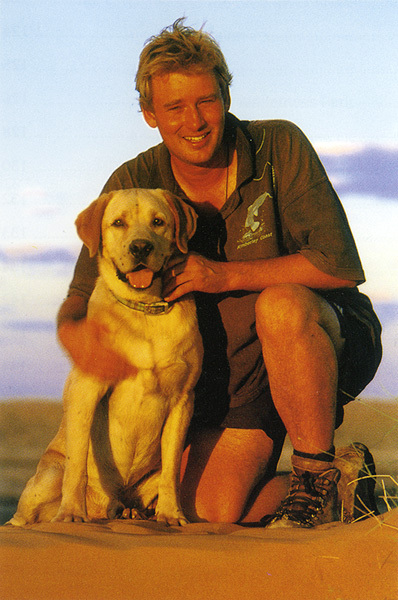 By reading Hugh Brown's story of his ten day hike down the Charnley River with his Labador named Kanch, it will I think give you a vivid picture of what the country is really like. The trip nearly claimed the lives of both Man and Dog. 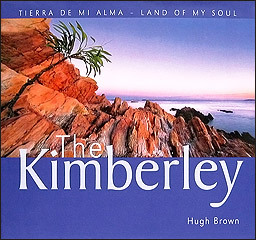 The Kimberley region is perhaps one of Australia's most spectacular: certainly, among its most rugged and harsh. 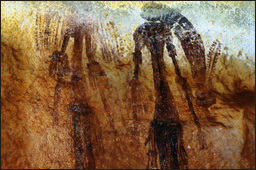 It covers a huge area and, while larger than Switzerland, with a population of only twenty-five thousand people (of which approximately half are Aboriginal). 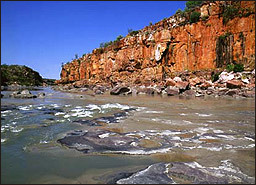 The Kimberley is also incredibly diverse and home to beautiful beaches, spectacular gorges, waterfalls and river systems. In July of 2000, I determined to proceed with a trip that I had been planning for quite some time into the rugged Charnley River region: some one hundred miles north east of Derby. 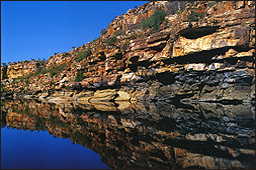 The Charnley flows through some of Australia's most dramatic and spectacular country and cuts a deep gorge for the final 40 miles of its journey into the Walcott Inlet, near where the freshwater meets the salt. 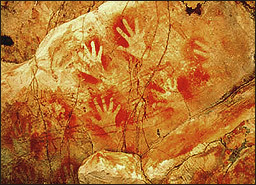 Much of the area's rock art is quite spectacular. 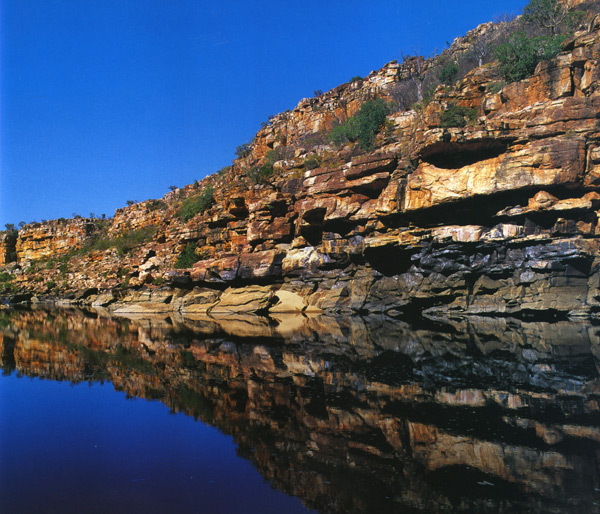 The Walcott, itself, is quite spectacular and is characterised by fantastic fishing, huge 30 foot tides, spectacular freshwater swamps around its perimeters, a forbidding escarpment on its northern side and the barrier of the King Leopold Ranges on its southern. The tides are amazing and make an enormous 'roaring' sound as they come in from the sea.